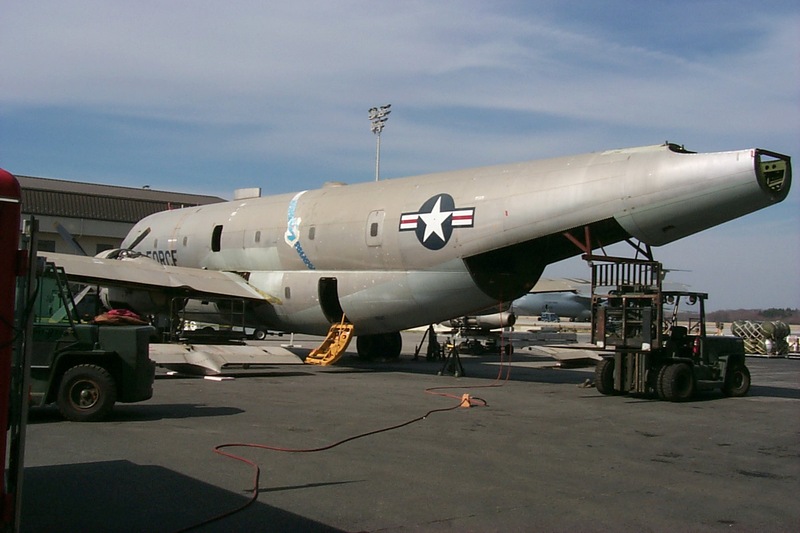 This Stratofreighter was assigned to the Strategic Air Command in 1955 at Westover AFB, Mass. 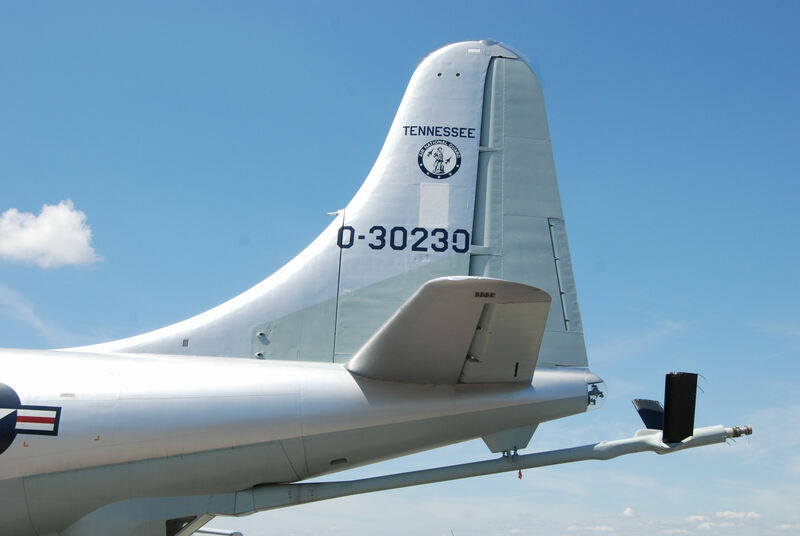 In 1965 it was converted to KC-97L status by the addition of two jet engines and transferred to the Tennessee Air National Guard. 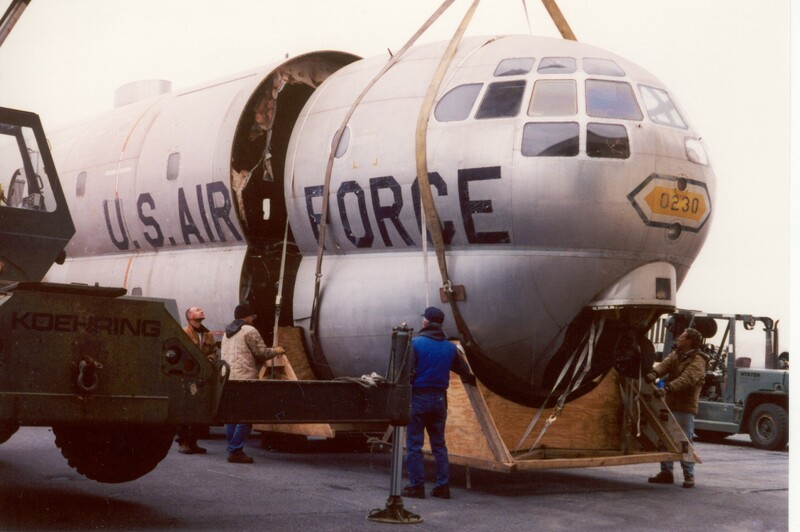 The KC-97 Stratofreighter was an instrumental factor in providing SAC with genuine intercontinental capability. 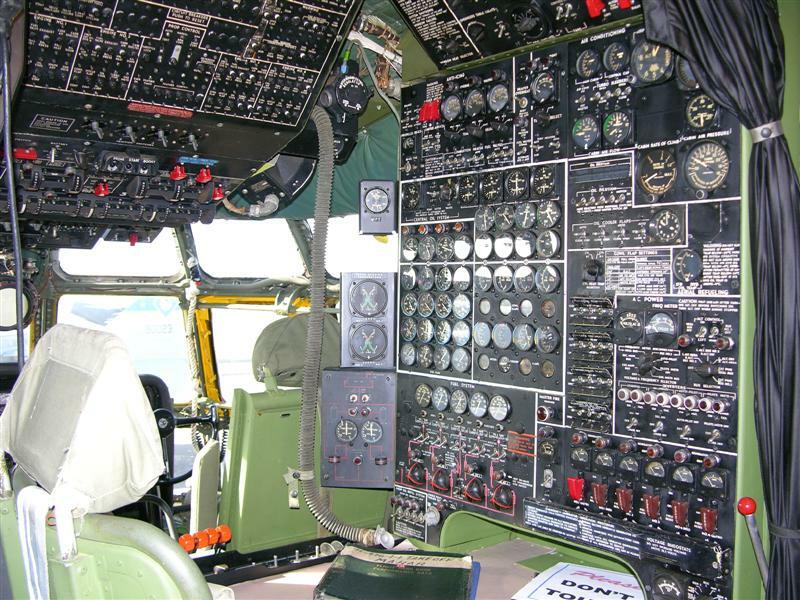 It was introduced in 1950 (first flown on 15 November 1944) using the “flying boom” in-flight refueling system. 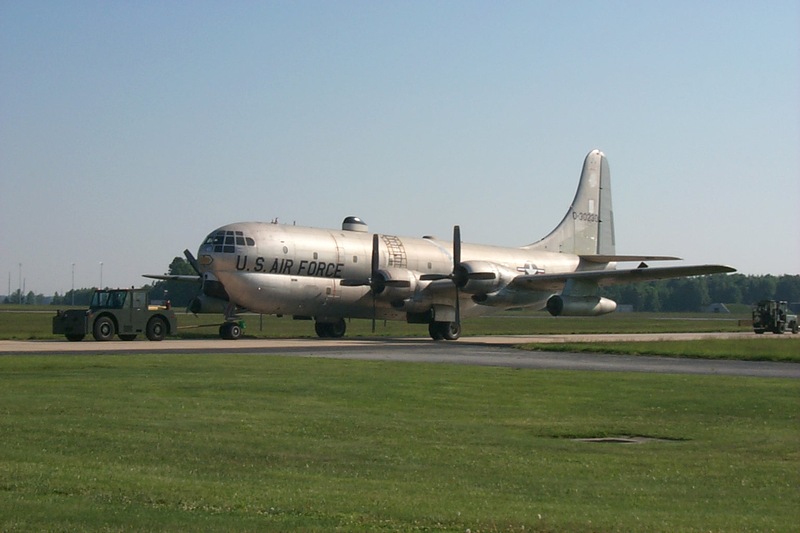 Originally, the aircraft was equipped with only four Pratt & Whitney R-4360 radial engines and designated as KC-97Gs. 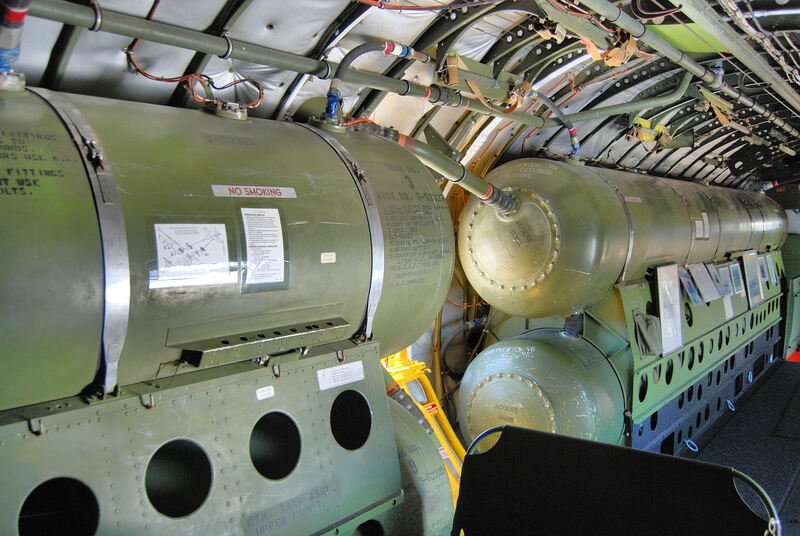 Later, two J-47 turbojet engines were added to allow the redesignated KC-97L to safely refuel the B-47 and B-52 jet aircraft. 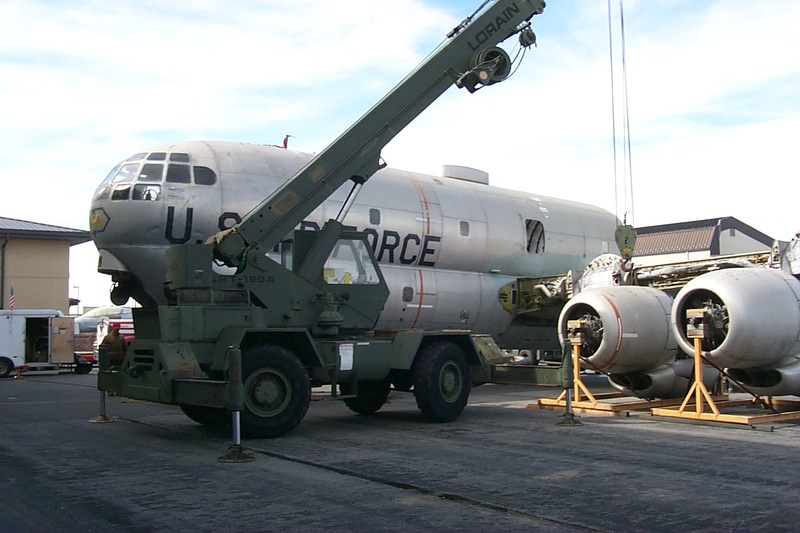 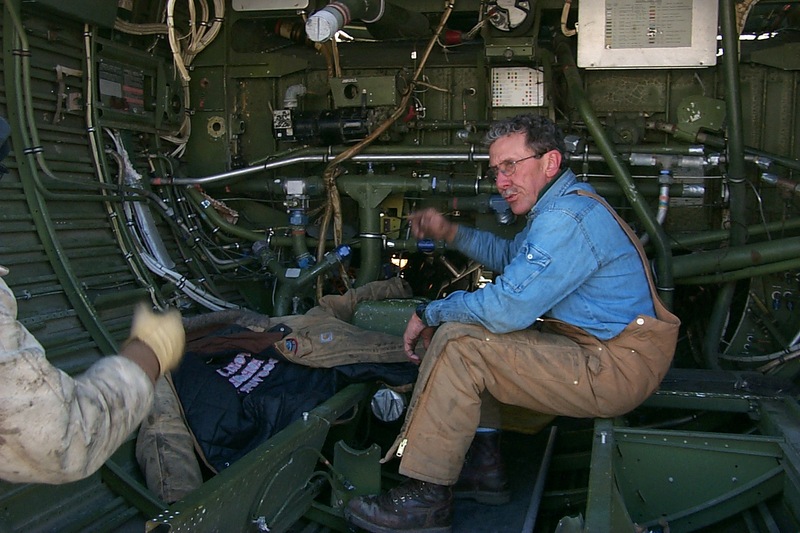 The KC-97 saw service well into the Vietnam Conflict era. 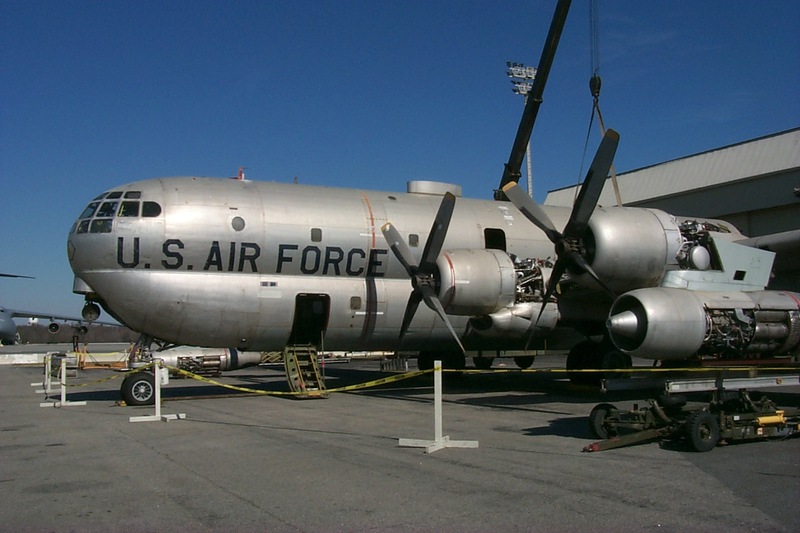 There were 888 C-97s built between 1951 and 1956, 814 of these were modified to KC-97 tankers. 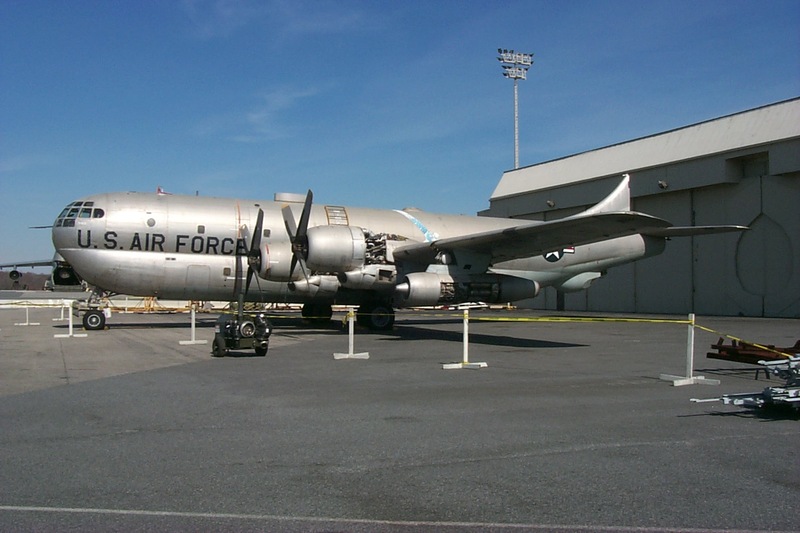 Because of its slow cruising speed and low cruising altitude, the KC-97 had difficulty being an efficient refueler to high-speed jet aircraft. 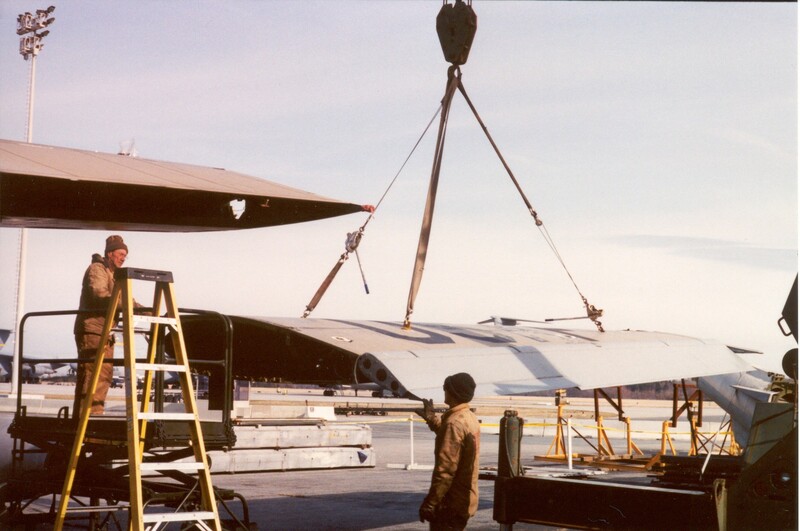 To refuel a faster, jet aircraft, it performed a maneuver called “tobogganing.” The refueling connection would be made high up and then the tanker and jet flew “downhill” together enabling the tanker to pick up more speed. 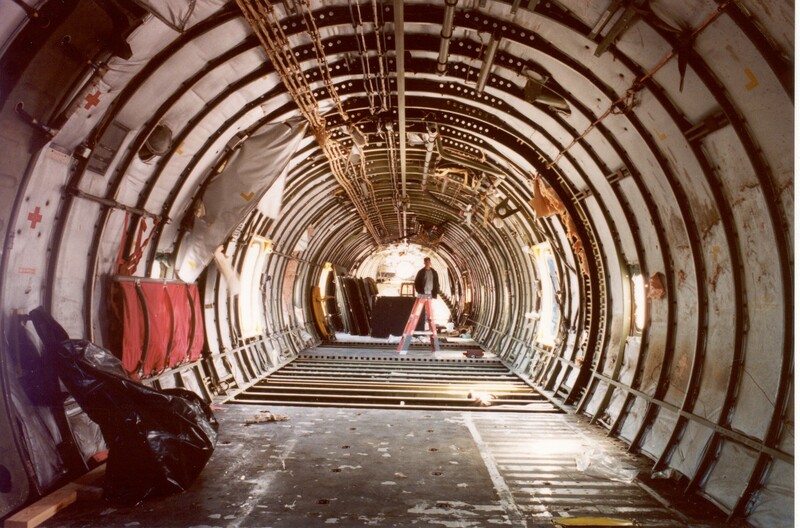 The KC-97L, with its jet engines mounted under each wing, gave the tanker added speed required for takeoff and flight. 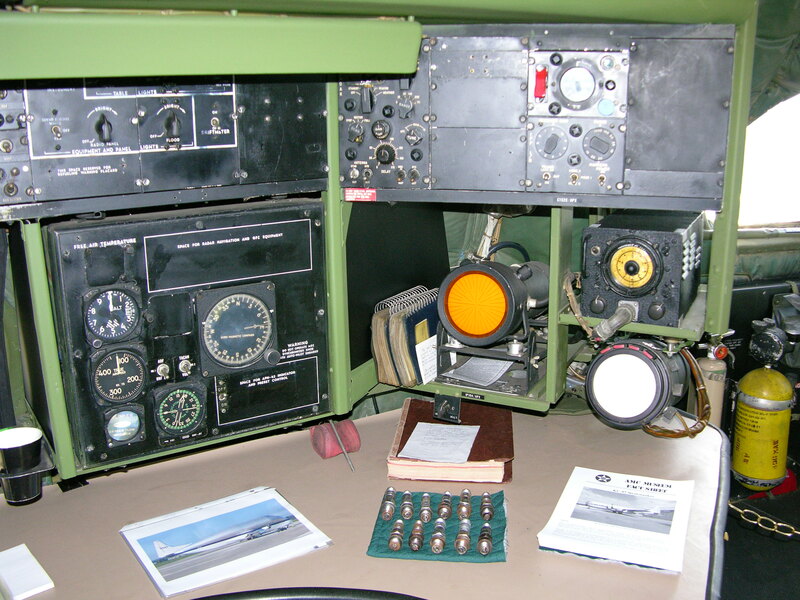 This setup also enabled it to refuel jet aircraft without “tobogganing.” The KC-97L carried both AVGAS and jet fuel. 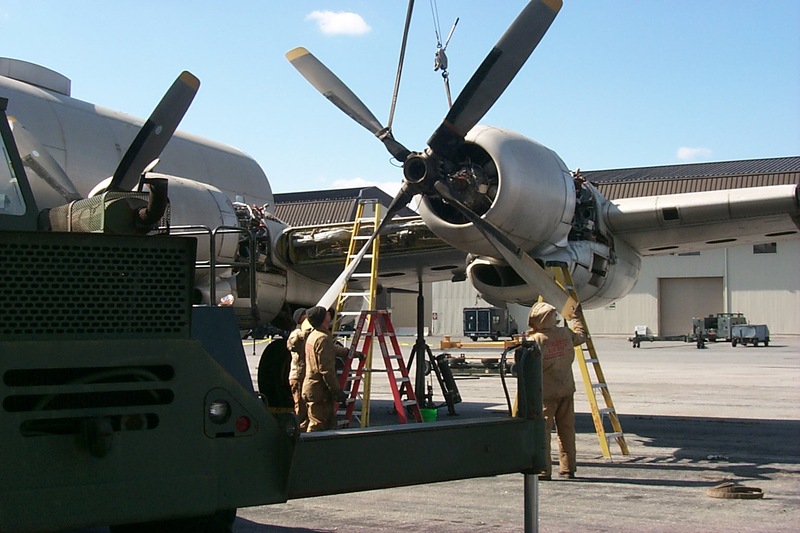 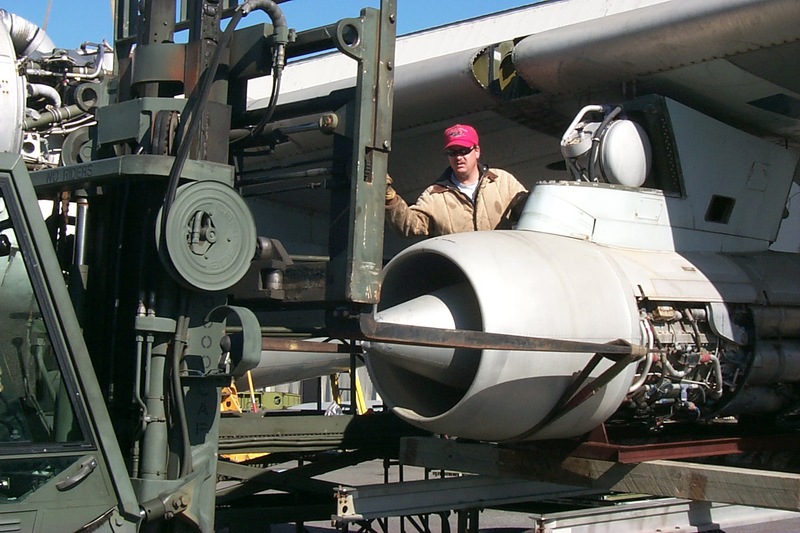 The AVGAS was used to power its radial Piston engines while the jet fuel was carried to power its two jet engines and to be off loaded to its receivers. 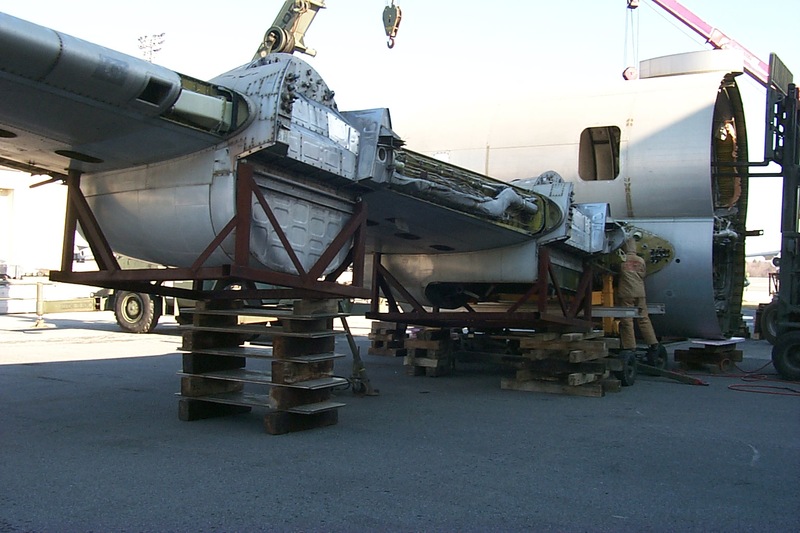 In the late-1950s, two KC-97Gs were converted to a KC-97Js. 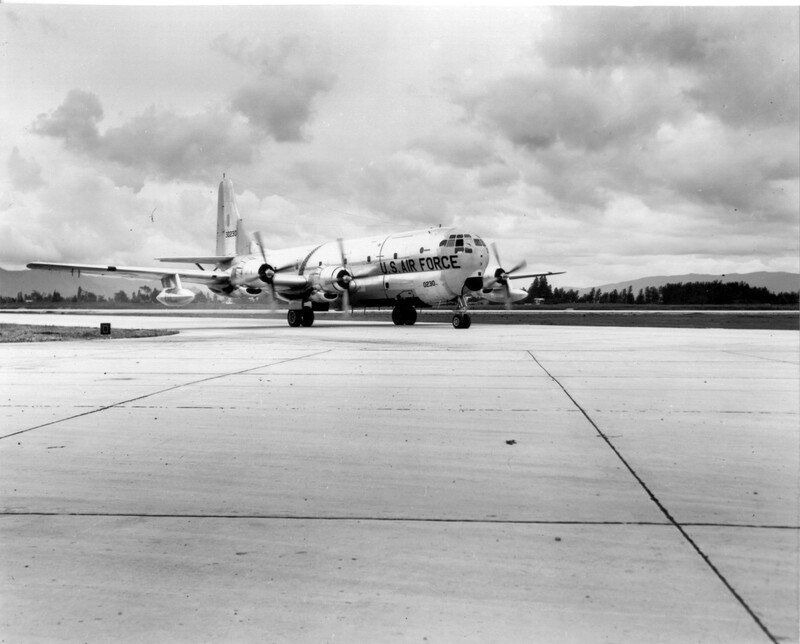 These aircraft incorporated YT43-P-5 turboprops and were used as flying test-beds by the USAF. 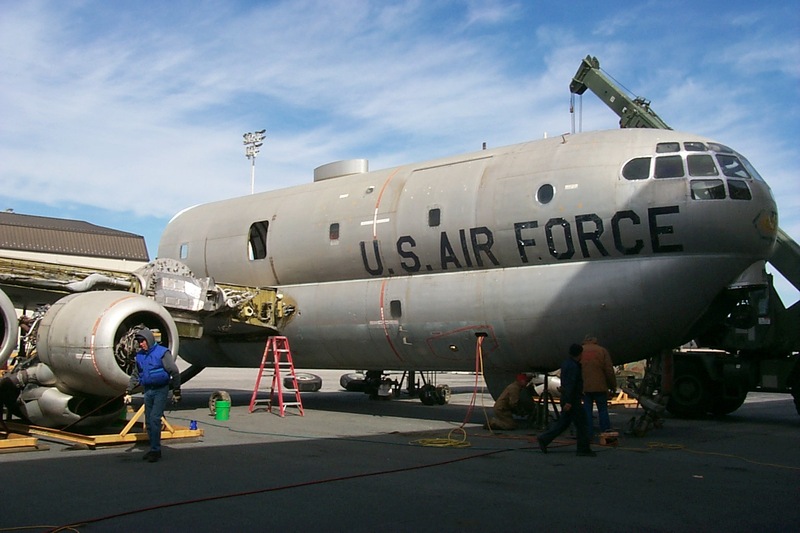 The U.S. Air Force really needed an all-jet transport/tanker and chose the new KC-135 Stratotanker, which remains in service almost 40 years later. 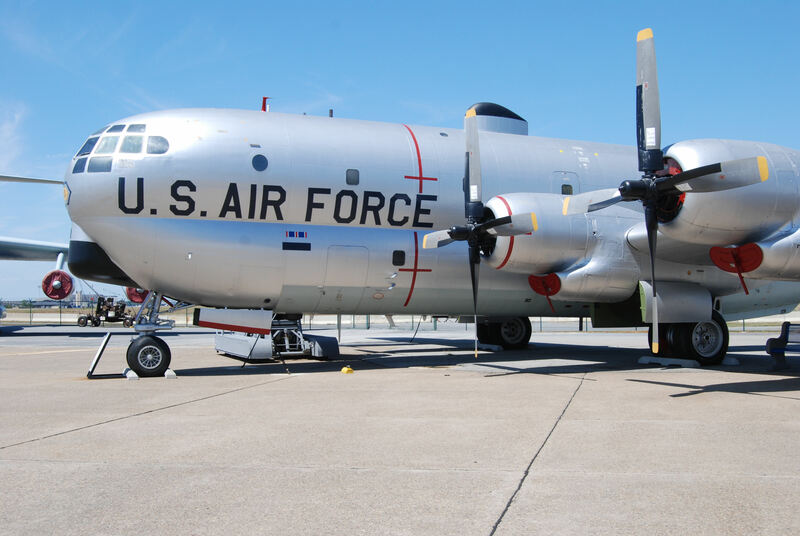 The KC-97 is the direct predecessor of the KC-135 Stratotanker aircraft. 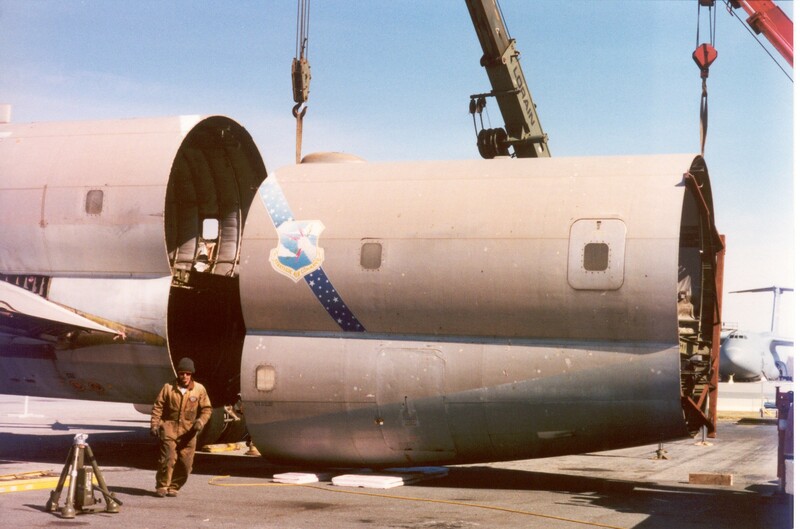 In fact, the last KC-97 and the first KC-135 were rolled out of the Boeing assembly plant on the same day. 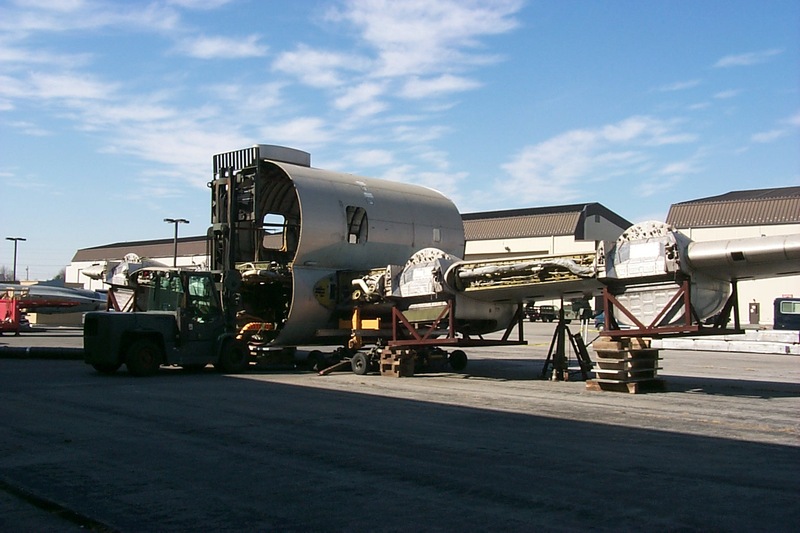 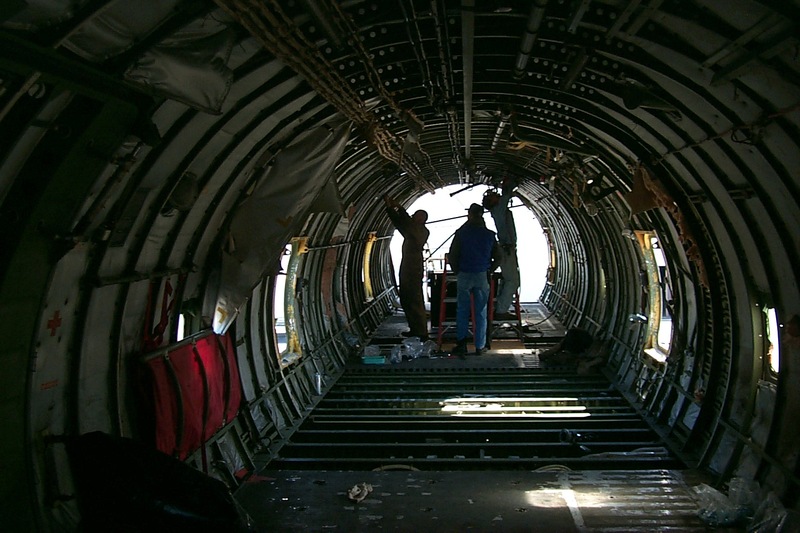 When acting as a transport, the C-97 could carry 68,500 pounds of cargo or up to 96 fully-equipped troops. 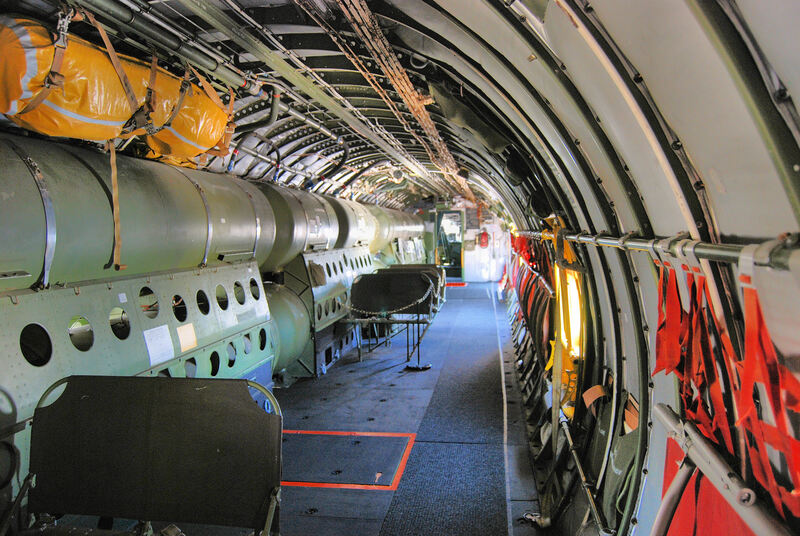 In the tanker role, the KC-97 was capable of off-loading 15,000 gallons of fuel. 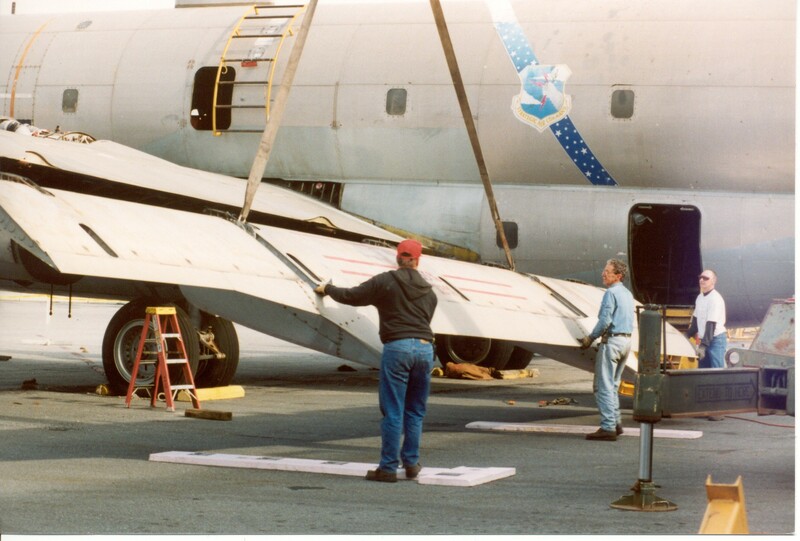 know what he wanted to do. 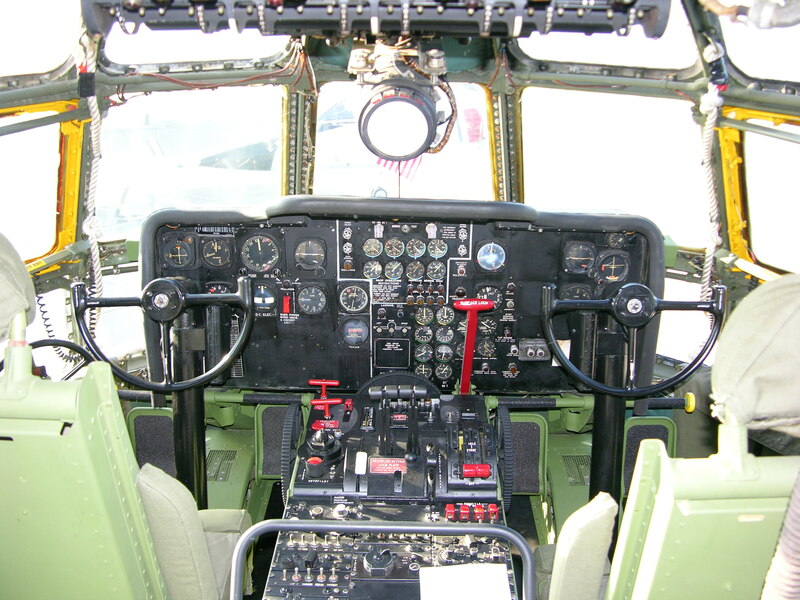 I ended up with 8000 hours as a civilian helicopter pilot. 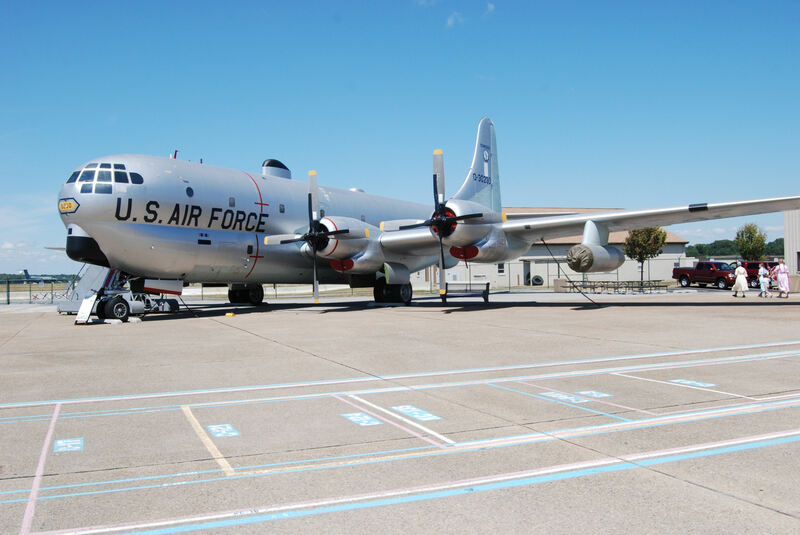 Vandenberg AFB had three KC-97’s. 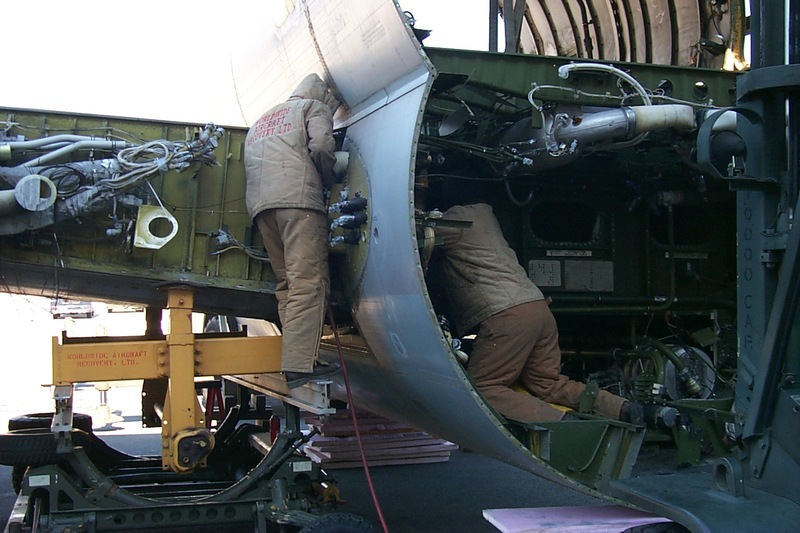 I worked on them as an AFSC 53150 machinist, 1963 through 1965. no memory of tail numbers. 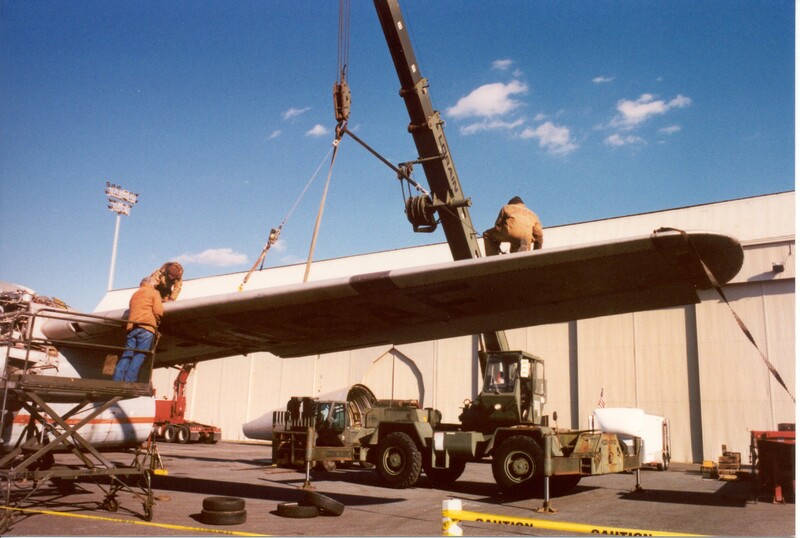 my unit was the 4392nd CAMS.